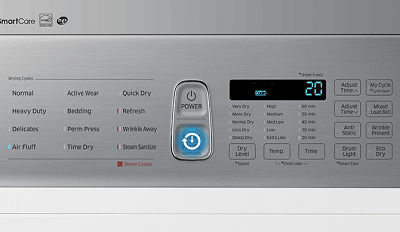 How to dry plastic items using my DV8600 Dryer with MultiSteam, 7.4 cu.ft (DV50K8600EV)? The best way to dry plastics items (shower curtains, outdoor furniture covers, etc.) is to follow the instructions on the care label. If no drying instructions are provided, use Air Fluff cycle. 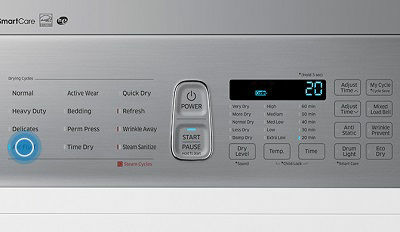 In some case, you may be able to use a Time Dry cycle and the Low or Extra Low temperature settings if the care label instructions allows you to. Important: Drying plastic items with heat may damage it or cause a fire. Please be careful when you dry those items.